This sophisticated king-sized panel bed features traditional elements such as dentil molding, square tapered feet, and beautiful paneled details. Not just nice to look at, the bed also has two convenient drawers built into the footboard, providing the perfect place for extra linens or towels. 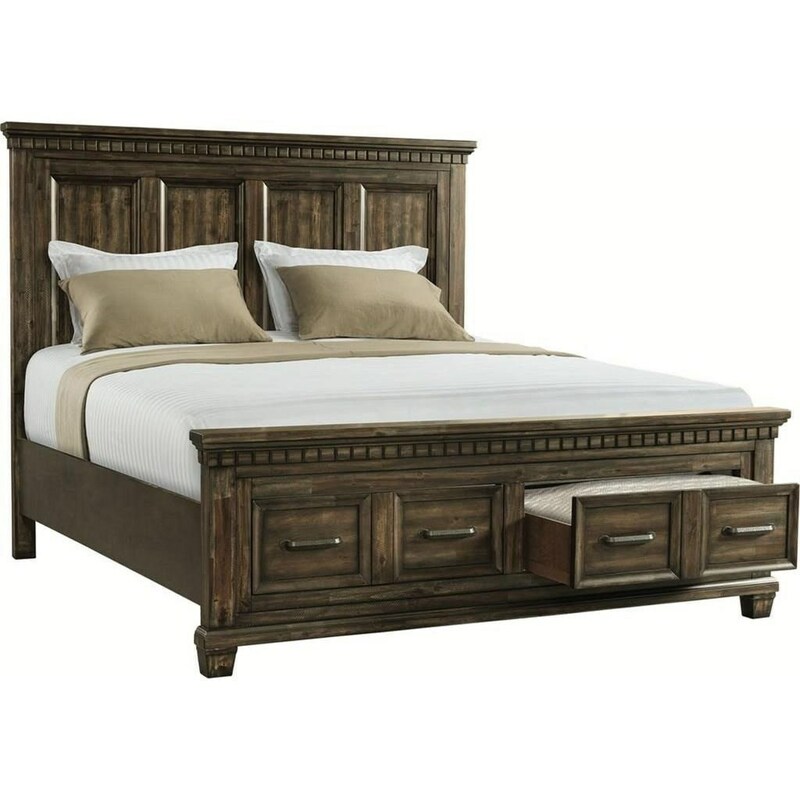 The McCabe Traditional King Panel Bed with Footboard Drawers by Elements International at Miskelly Furniture in the Jackson, Pearl, Madison, Ridgeland, Flowood Mississippi area. Product availability may vary. Contact us for the most current availability on this product. 135249669 Queen/King Rails 1 0" 0" 0"
MB600KF King Footboard 1 0" 0" 0"
471149332 King Headboard 1 0" 0" 0"